Articles on Buddhist meditation. Note that meditation resources for children and teens are included in the For Kids category. Buddhist mandalas employ sacred geometry to create representations of the universe used for meditation and mindfulness training. Buddhist mantras - sounds or words repeated aloud or silently - are an important part of meditation practice in some Buddhist schools. This article lists some common mantras and their meanings, and includes a sampling of monks chanting one. Recent research indicates compassion meditation and other Buddhist practices permanently change the brain. Learn how, and what this research means for both Buddhists and non-Buddhists. Chakras or 'channel-wheels' are energy centers associated with points in the body, and meditated on within both Hindu yogic and Tibetan Buddhist traditions. This article describes some aspects of Tibetan Buddhist systems that employ chakras. Mindfulness - being fully present in the moment - is a central part of Buddhist practice. It has also been shown to reduce stress levels and increase productivity. Here's a simple introduction to finding your own form of mindfulness. In meditation, most of us swing between 'monkey-mind', in which we are running from thought to thought, or 'sinking' mind, in which we feel either drowsy or simply dim. Here is advice for dealing with both. December brings holidays in virtually every spiritual tradition, and although we all hope to feel uplifted, many people report feeling stressed due to money and family issues. Others suffer from Seasonal Affect Disorder, brought on by diminishing light. Learn 4 meditations that can help. Metta, or 'lovingkindness', meditation is a beautiful spiritual practice common to many Buddhist schools that anyone can practice and benefit from, Buddhist or not. It begins by helping us cultivate feelings of self-love, and concludes with feelings of metta towards all beings. 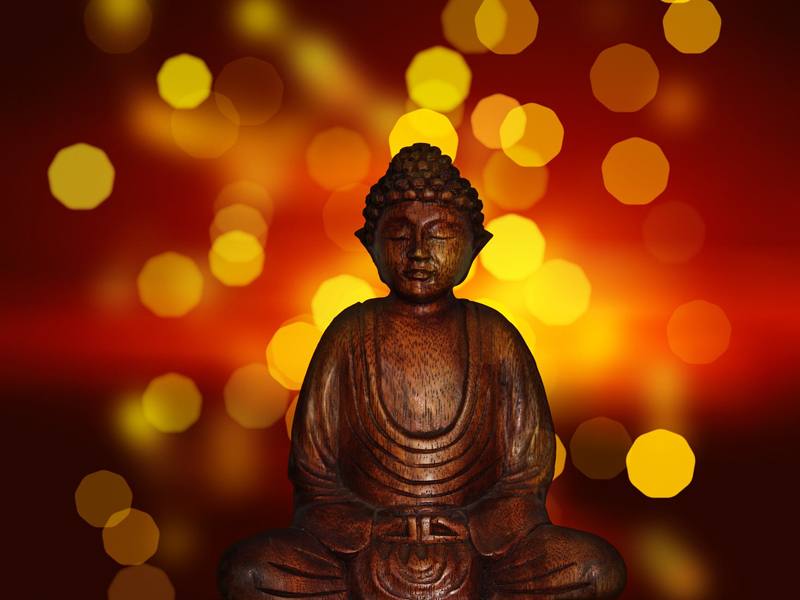 A growing number of psychotherapists and other mental health practitioners are incorporating Buddhist-based meditation and mindfulness practices into their therapeutic work, especially with trauma victims. Explore how this may help you or someone you know. Regular meditation benefits your mind, body, and spirit, regardless of whether you are doing it as part of a Buddhist practice. Here are some tips for building meditation into your daily life. Meditation is an essential part of Buddhist practice, and there are many different types, ranging from focusing on the breath, to mindfulness, to mandala and mantra meditations. Vipassana means 'insight into reality' and is a method of meditation focused on observing the mind, rather than concentrating it, in order to discover the roots of thoughts and sensations. This content was written by . If you wish to use this content in any manner, you need written permission. Contact Lisa Erickson for details. A place to post questions about Buddhism, comment on articles you read here, and share your own practices and thoughts. Subscribe for free weekly updates from this Buddhism site.